Hello~! I have another review to make! Such a diligent blogger I am this month, right. That's because I have enough time compared to last December, as I am in uni break now until mid February. 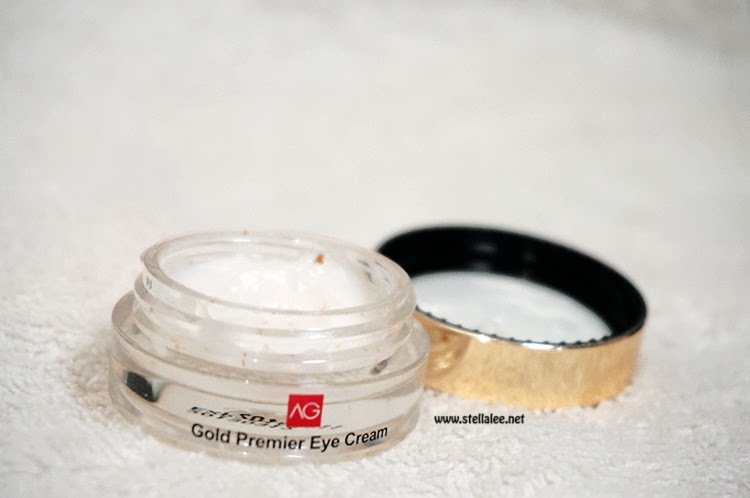 And here I'm reviewing Anna Gaspi Skin Care that I have been using for 2 months or so. In fact I have never heard about this brand before but they're mentioning about Placenta! And Placenta has been a big hit in beauty industry for recent year so I am more than happy to try it! 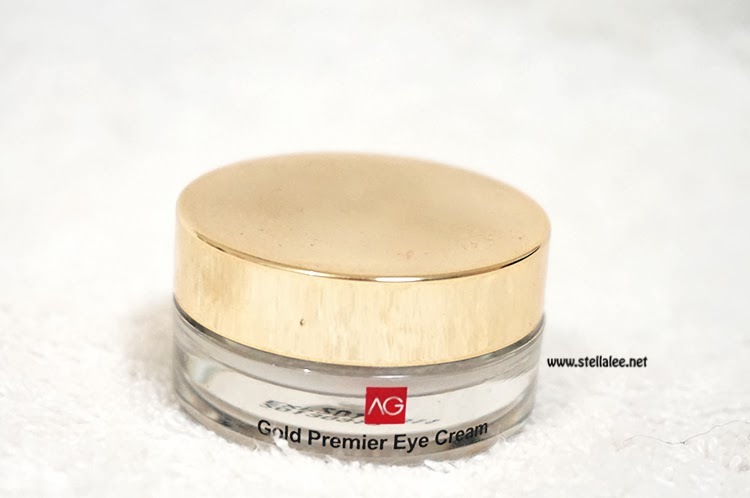 Anna Gaspi is a Korean skincare brand which well-known in many countries such as Malaysia, France, Taiwan, USA, Turkey, Dubai, Korea, Poland, Singapore, Australia, Hong Kong, Russia, New Zealand, Thailand, Czech Republic and etc. 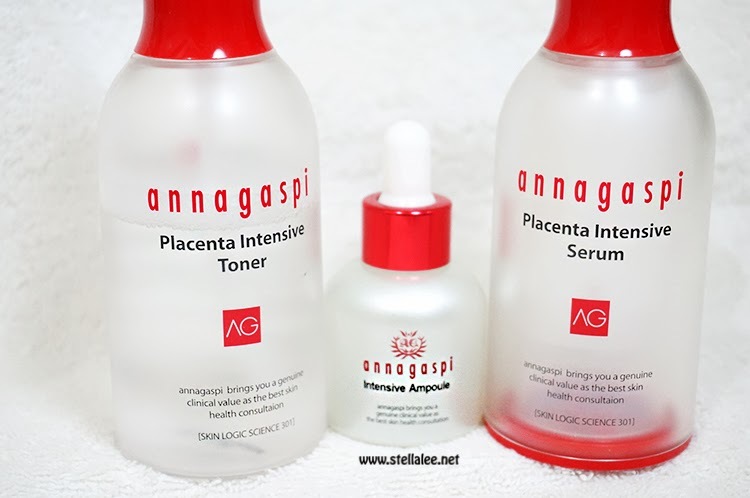 Anna Gaspi is a series of high function and quality range of skincare provides miniaturization and nutrition to human’s skin with the help of its major ingredient – phyto placenta (vegetal placenta). But before moving further, let me tell you what Vegetal Placenta is! Vegetal Placenta or Plant placenta is the natural substance found under the pistil of flowers. Plant placenta has an extraordinary regenerating of nourishing fruits when they are formed. The anti-aging skincare product as well as anti-aging nutritional supplements are made with the vegetal placentas which are non-genetically modified plants including legumes, soybean, beech buds and etc. For the toner itself, it's rapidly absorbed to my skin, even when I pour it on my hand it's quickly absorbed on my palm so I have to move fast when patting it on my face. It shows how amazingly fast the speed of this product to work on my skin. Untuk tonernya sendiri sangat cepat meresap ke dalam kulit. Contohnya ketika aku menuang toner ini ke tangan, tonernya cepat banget teresap ke telapak tangan sehingga aku juga harus cepat-cepat menepukkannya ke wajah. Nunjukin banget betapa cepatnya kemampuan produk ini untuk menutrisi kulit! Last but not least, Their Gold Aqua Essence Gel Mask that comes in a box with 10 mask sheets! It is so thick and bouncy and made with something jelly-like. I also can see the gold sparkles all around the mask and it fits my whole face nicely. It sticks so good, and I massage it for around 30 minutes while it's wrapping my face so it's absorbed better, and rinse it off with water. Make sure to rinse it cos last time I didn't rinse it and I had zits instead. 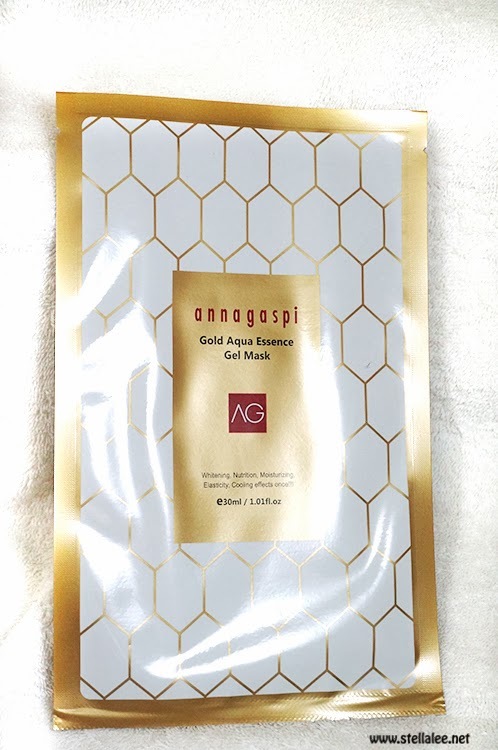 Terakhir adalah Anna Gaspi Gold Aqua Essence Gel Mask yang berisi 10 masker dalam satu kotak. Maskernya terbuat seperti jeli yang tebal dan kenyal serta memiliki serpihan serpihan emas di maskernya, dan juga pas di wajah. Maskernya menempel dengan sangat baik, aku memijit wajah selama 30 menit ketika masker ini dipakai agar vitaminnya lebih teresap, kemudian dibilas dengan air. Pastikan dibilas dengan bersih karena waktu itu aku pernah lupa membilasnya kemudian malah memiliki jerawat kecil. I am IN LOVE with this skin care, they are truly wonderful and amazing, the high quality is too good to be true. I can feel my skin is getting brighter, softer, bouncier, and healthier. The natural glow on my skin is also more noticeable and the overall texture on my skin is getting better. I can tell my pores are getting smaller as well!! Overall I think all the benefits that are mentioned above through their Placenta, can be achieved through this skin care, which is AWESOME!! Aku bener bener jatuh cinta dengan skin care ini karena benar-benar menakjubkan, kualitasnya kebangetan bagusnya! Kulitku menjadi lebih cerah, lembut, kenyal dan sehat. Rona kilau di wajah juga lebih terlihat dan keseluruhan tekstur kulit pun membaik. Pori-pori di wajah pun mengecil!! Aku bisa merasakan seluruh efek Plasenta yang disebutkan di atas, dan tentunya benar-benar menakjubkan!! I thought that it would be over than 100USD or what considering the high quality of placenta. But upon hearing the price, for me it's totally reasonable!! And seriously, after this, I think I want to re-purchase it after I run out of my current products because it's just so good! Of course as a good blogger *ahem*, I don't want to be pretty alone. I want YOU guys to also try this amazing products!! You can purchase it through Anna Gaspi Indonesia Facebook! Or if you want to try your luck, they are having GIVEAWAY for 5 lucky winners! We all love giveaway, don't we? OMG I ALSO WANT TO HAVE IT AGAIN!!!!! How to win the free gift? 2. "SHARE" Anna Gaspi FB Page with a title of "I WANT TO WIN ANNAGASPI" as much as they want to. Way to go to get Valentine's Present, right? ini bukan plasenta bayi kan stel? o.o vegetal placenta / phyto placenta itu dari tumbuhan? Yes the gel mask feels quite awesome! btw, ga buat tambah oily kan? ♡ Ditunggu juga giveaway dari ci Stella selanjutnya. stel ...kulitmu baguss bgt ... keknya bagus produk ini. blm dijual bebas y macem di PI or GI ? I love your hair & i would like to understand if you've got split ends or does one perpetually trim the ends? i take advantage of leave in conditioners on a day after day, a thick conditioner within the shower and do weekly treatments of hair masks. i take advantage of wide tooth combs with wet hair and regular tooth combs with dry hair. I ne'er backtease & i invariably use heat protectant with straight irons or hair dryers. And however i purchase split ends ALL THE TIME. Do you? additionally, I typically leave ME hair elbow length and spot that it goes flat and lifeless. I actually have extremely thick and significant hair & hate the texture of merchandise. I typically get bored & feel i would like a modification thus I chop it all off to my chin level and begin the growing method once more. love your fashion so much !! i love the wig and boots!! where is it from ? yaaah,, uda ga bisa beli lagi ya brarti?? just wondering, is this paraben free? thanks! cc nanya dongg, kalo sama Brightlele gampang kusutan mana? Ohmigod, the difference is magical. Love Innisfree product. Kalo aku suka bedak no sebumnya si, tapi baru tau ini camellia hair productnya bagus juga. Nice review Stel.